Gdańsk is truly one of the most interesting cities in Poland, yet many tourists leave it off their lists in favour of Kraków, Wrocław and Warsaw. Culture.pl takes a look at why Gdańsk is worth a visit – and, why you are likely to fall in love with this austere, yet unusually beautiful city. 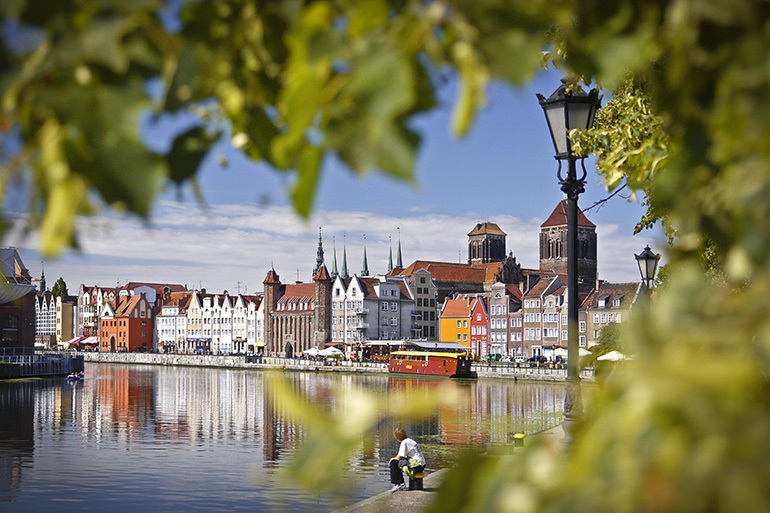 Gdańsk is a city distinguished by its long and complicated history. The first mention of Gdańsk as a city appears in the year 997. Since then it has changed hands many times. It was first in the Kingdom of Poland, then was in the territory of the Teutonic Order. It was disputed territory during the Thirteen Years’ War, then returned to the Kingdom of Poland, and included in the Polish-Lithuanian Commonwealth, and later the Kingdom of Prussia. It became the Free City of Danzig, then returned once again to Prussia and was then incorporated into the German Empire and for a short while into the Weimar Republic. It returned to its Free City status for about twenty years before becoming part of Nazi Germany… Only in 1945 did the city return to Poland once again. It is in Gdańsk that the attack on the Westerplatte Peninsula and the capture of the Polish post office began World War II, and an electrician by the name of Lech Wałęsa leaping over a fence began the Solidarity movement. Gdańsk (at this time Danzig) was one of the cities of the Hanseatic League – an economic union of European merchant cities existing from the 12th to the 17th century. In Danzig’s company were such cities as Cologne, Lübeck, Riga and Tartu. 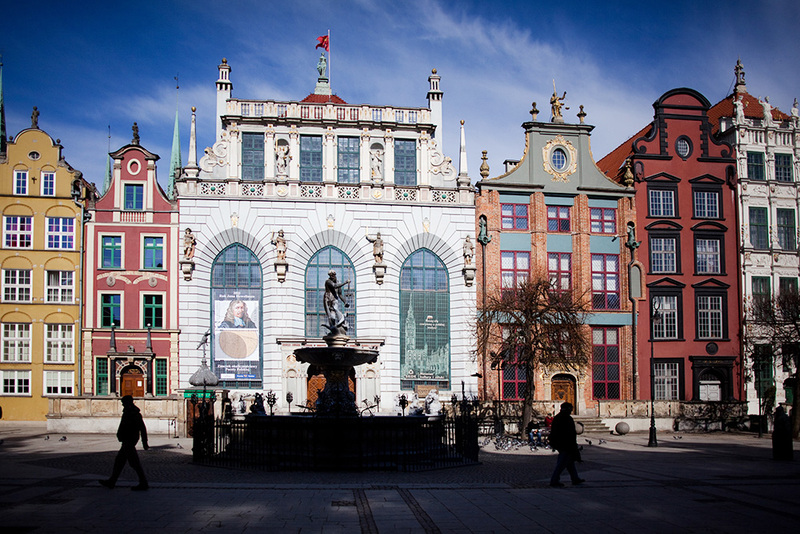 It’s still possible to see examples of Hanseatic architecture in today’s Gdańsk. Unfortunately, the buildings aren’t original: in 1945 during the bombardment of the city centre almost everything was burned down. After the war, the buildings were rebuilt. Today those who are not familiar with the history of Gdańsk could hardly guess that the charming little houses with triangular roofs in the Long Market (Długi Targ) were built in the middle of the 20th century. Near the entrances of some churches photographs which show these structures after the bombardment are on display. It’s worth looking at these to remember how huge of an undertaking it was to restore the city to the Gdańsk we know today. For example, the gigantic St. Mary’s Basilica was not razed to the ground, but even for its partial restoration, a great effort was needed. Długa Street, the main street of Gdańsk, will take you to the waterfront along the Motława River. It’s worth taking a walk and stopping by one of the restaurants with a terrace, from where you may enjoy a beautiful view of the waterfront; or catch a boat and head out for the Westerplatte Peninsula. If you hear the sea calling to you, then all you need to do is take a tram that goes to the Brzezno region – this is the final stop, so it will be difficult to get lost. In the summertime it is possible to take the tram to the stop for Stogi (trams only go here during swimming season): this is one of the most popular beaches in the city, where there are sunbeds and free wi-fi. And, of course, if you go to Gdańsk, you must sample the local seafood: in many eateries, fresh fish is fried right in front of customers. Gdańsk is more than the Old Town. After visiting the historical parts of the city, it is also worth getting to know the less-touristy parts of the Polish Pomeranian capital. Oliwa is famous for its wonderful park and the cathedral of the Cistercian order built in the 12th century. Here there is an enormous organ comprised of 7,876 pipes! It’s possible to hear the organ ‘in action’ by going to mass or to one of the free half-hour concerts that are held during the summer. In addition to this, the International Organ Music Festival is held in Oliwa during July and August. Even if you don’t manage to catch a concert, the cathedral is still worth a visit: its decorative interior will leave no one unmoved. In the museum adjacent to the cathedral there is an exhibit dedicated to the Peace of Oliwa – a peace agreement signed by the Polish-Lithuanian Commonwealth and Sweden in 1660. Those who love beautiful panoramas will certainly enjoy going up to the top of the observation tower that is located not far from Oliwa park. Also from here, you are only a bus ride away from a zoo. Getting to Oliwa is easiest by the SKM city train (Gdańsk Oliwa station). In the Jelitkowo region, you can find beautifully preserved wooden fishing lodges. Besides this, Jelitkowo is perfectly suited for leisurely strolls along the seaside. From here it is only an hour to get to Sopot, the most well-known sea resort in Poland. Trams to Jelitkowo (Jelitkowo station) leave from the main station (Dworzec Główny). Wrzeszcz is yet another district of Gdańsk and was once a separate city. Despite its name, which is intimidating for many foreigners (it’s pronounced ‘vzheshtch’), this is an interesting place for a stroll. You’ll see impressive stone houses from the 19th century (especially on Wajdelota Street), several churches and a monument to Oskar, the hero of ‘The Tin Drum’ by Gunter Grass. There was a tour a few years ago in Gdańsk called ‘In the Footsteps of Gunter Grass’, and the majority of the stops were located in Wrzeszcz. It’s not surprising, as this is where the future Nobel laureate was born. The easiest ways to get to Wrzeszcz are on the SKM train (Gdańsk Wrzeszcz station) or by taking the tram to the Jaśkowa Dolina stop and continuing a short way on foot. Zaspa is a fantastic example of how an ordinary neighbourhood with grey panelled houses can be transformed into an urban landmark. In Zaspa you will find a wide diversity of murals: from a gigantic portrait of Lech Wałęsa to images of strange creatures. You can get here by SKM (Gdańsk Zaspa) or by tram. Westerplatte, a peninsula in the Baltic Sea, is where World War II began. Today tourists flock here to see the huge monument to those who fell in defence of the peninsula and peruse the exhibit on this historical moment. You can take the bus to Westerplatte from the main station or, during the summer, you can get there by boat. Gdańsk, Sopot and Gdynia comprise one metropolitan area and is therefore known as Trójmiasto (Tricity). Sopot is the most famous sea resort in Poland. In this small city you’ll find a multitude of bars, cafes and discotheques, and in the summer, they show movies outdoors right on the beach. 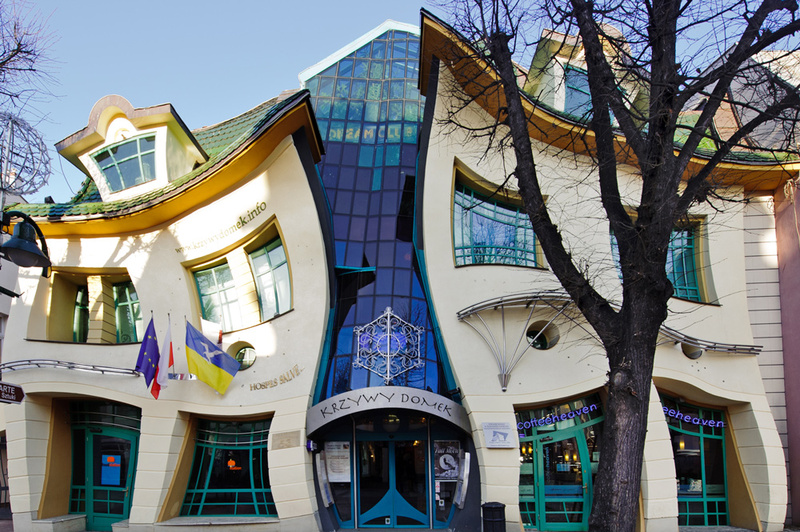 Sopot’s main attractions include the Krzywy Domek (Crooked House), the Forest Opera (Opera Leśna) and a half-kilometre-long pier (molo), the longest on the Baltic Sea. In the midst of tourist season, entrance to the pier will cost a few złoty, but during the offseason, you may walk along it for free. In Gdynia, the Museum of the Polish Navy and the recently opened Emigration Museum are worth visiting. Gdynia also has its own pier, which is in the Gdynia-Orłowo area. Gdańsk will not disappoint culture buffs either. The National Museum, where the famous Hans Memling painting The Last Judgement is on display, is located here, as well as the Amber Museum, the Maritime Museum and the History Museum, which has several branches. One particularly interesting museum is the Free City of Danzig Historical Zone on Długa Street, where the everyday life and interior design of that era are presented. 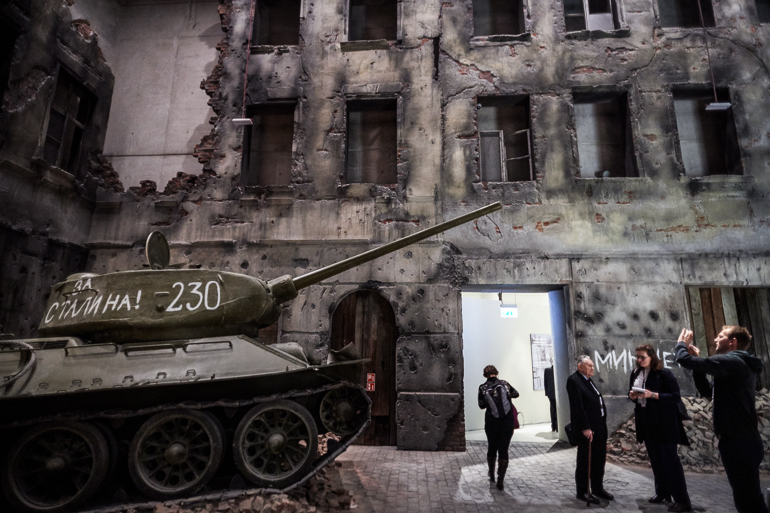 Also, the World War II Museum finally opened in Gdańsk in January 2017, after eight years of construction. A part of the famous Gdańsk shipyard, where Solidarity was born, is open to the public. On the grounds of the shipyard, you can also find the European Solidarity Centre. The museum’s permanent exhibit is dedicated to the history of opposition movements around Europe. The Pomeranian Voivodeship is a truly amazing region, rich in natural beauty and landmarks, therefore we recommend not limiting your visit to the Tricity. For example, from Gdynia, you can take a one-day excursion to the town of Hel on the Hel Peninsula. This famous resort town is known for its magnificent pine forests and pristine seas. But the most important reason to visit Hel is, of course, the Baltic seal nursery (fokarium)! During tourist season it’s possible to reach the peninsula by boat from Sopot or Gdynia, but during the colder months, you can take a train from Gdynia. 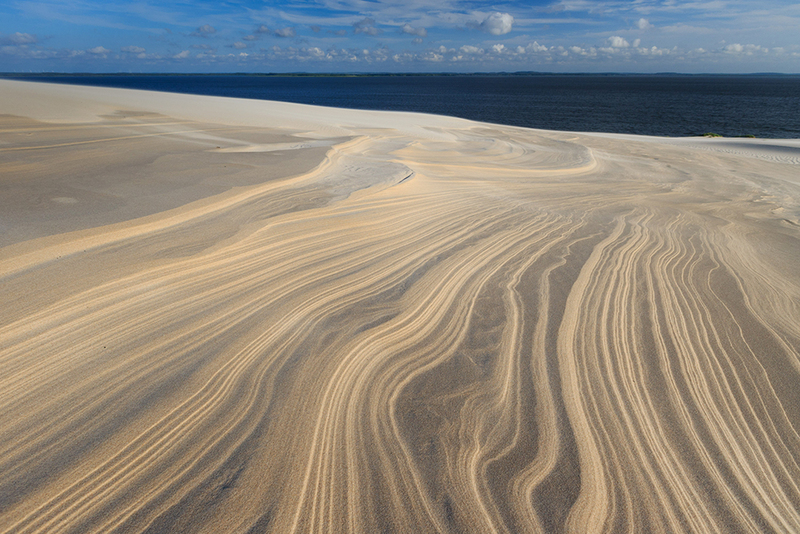 Another place that is essential to visit if you find yourself in the Pomeranian Voivodeship is Słowiński National Park with its stunning shifting sand dunes. If you are travelling by public transportation, then it is easiest to take the SKM train in Gdynia to the city of Łębork and then change to a train or bus that will take you to the city of Łeba. The walk from the train station to the park takes some time, and it is still a few more kilometres to the dunes from there (entry by car is prohibited). However, those who want to can rent a bicycle or take one of the little trains that runs through the park. We promise it is worth it!